These songs are from our concert at Grace Lutheran Church on May 14, 2006. 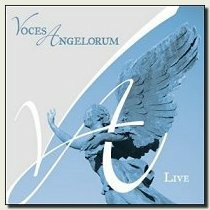 They are also a sample of some of the tracks you can hear on Voces Angelorum Live. These are a few of our earlier recordings from our first CD, Voices of Angels. These tracks are ©Voces Angelorum and are for promotional purposes only. They are not intended for sale or distribution.